Interlocutor: Now I want to move on to another question. What is that feeling that apparently human beings have of having already lived a certain situation? This sensation is called in French "Déjà vu." Déjà vu is a slit of a past life through which certain people in certain circumstances seem to visualize as if they were there before. Maybe they were not there. For example, a person that goes to a town in Argentina and sees suddenly a house so familiar and it happens that the person was in a past life in a similar place maybe in Italy, Sicily; well, It’s not the same house, but another similar. Therefore, this déjà vu, this slit made a click, and then the person believes that he or she was there before, but in fact the person was not there. Interlocutor: Okay, I understood perfectly. Déjà vu (Grupo Elron): French expression that means "already seen" or "already experienced". Spontaneous visualization of places and circumstances from past lives that a person brings to the present time associating it to a previous experience, without realizing that the place in which he is in the moment or the situation he is living, was alredy already lived in a past life. 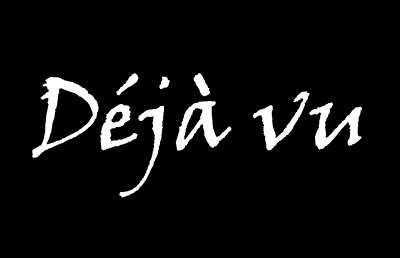 Dejà vu is manifested by an intense feeling of familiarity with a situation or a place not experienced by the person before. For example, Déjà vu happens when a person is walking on a street in a certain village he never knew before, and suddenly he feels that a house nearby looks very familiar to him and he cannot explain the reason. This could be simply explained, perhaps this person somehow lived in a similar house in a previous life, but maybe in another town like Sicily, Italy. Naturally, this person could have lived in this house in a previous life really, but the situation is the same since dejà vu is only an erroneous identification of circumstances that are in fact different. In the physical plane, incarnated beings do not have reincarnative memory, this loss only affects the 10% embodied, on the other hand, the other 90% or thetan remembers all the previous experiences from past incarnations, obviously when you disembody, you will remember and you will have the 100% of the memories again. This is the law of reincarnation. From the beginning, a spirit knows that his 10% will lose his reincarnative memory, every incarnation is a test, you know where you come from, but you don’t know where you go. During your incarnation your 90% or Higher-self will try to guide you and you ,as a 10% incarnated spirit, will have to choose using your own free will, perhaps you won’t listen because you could have roles of ego besides, most of the people don’t even know they have a Higher-self. In addition, if you knew who you were in a past life, perhaps your life would be a misery. Not everybody is ready to know information about past lives. For instance, would you be capable to deal with your son, if you knew that he was a murderer or a serial killer in a past life? Or perhaps you won’t be ready to know that your mother in a past life was actually your husband. Now, in order to evolve, the spirit chooses freely the planet, the family and even the circumstances he will experience, but the physical plane is an enourmous gravitational well and many things could go in a different way. It’s important to say that being incarnated, we play roles like a father, brother, doctor, etc. These are only roles that will no longer exist in the moment of disincarnation, therefore, it’s important to live that role with dignity and not be attached to that roles or else we could end up with spiritual attachments. To conclude, don’t forget that we are spirits in evolution and perhaps we have reincarnated 100, 200 times or even more. it’s something like being in a theater and we are playing roles as if we were actors and actresses. Well, these characters will no longer exist when the show is over. Do you understand what I mean? This entry was posted at Monday, March 15, 2010 and is filed under Concepts . You can follow any responses to this entry through the .